Mystic Merlinite (also known as Indigo Gabbro) is made up of Quartz, Feldspar, and multiple trace minerals. It is black and white in color with occasional spots of chatoyancy due to the feldspar within it. Indigo hues can also be found within this stone. It has been found in Madagascar and forms when magma cools into crystalline formations. Mystic Merlinite is a truly magical stone. It is a powerful ally in all types of magic and can accelerate one’s learning of each type, as well as how they are related. It aids one in seeing through the veil of the visible and invisible worlds, and in turn, allows one to develop intuitive and psychic abilities. Such abilities include Clairvoyance, Clairaudience, Clairsentience, and Prophetic Vision, as well as recalling previous knowledge and talents from past lives. It awakens the dormant parts of the mind, bringing them together as a whole and activating the mind’s full potential. This also enhances one’s abilities to speak to the spirits of plants, animals, and other entities in the spirit realm. 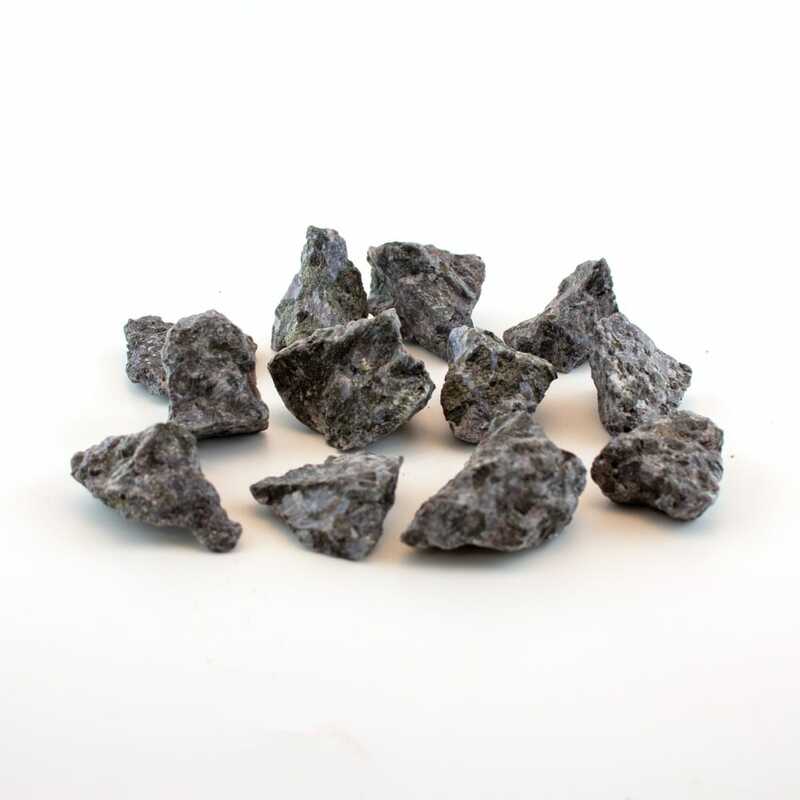 Although it is a stone of fire and earth, Mystic Merlinite is strongly linked with the energies of all the elements, and aids one in using these energies for magical manifestation and awakening to the knowledge of one’s true self. Although it has a wide range of properties, one of Mystic Merlinite’s strongest abilities is to bring a full understanding of both our light and shadow sides. It brings one to their inner core where the light and darkness are fully visible (similarly to the stone’s colors) and one can see the current state of both sides. The purpose of this is to bring the parts of the self that are exiled or shrouded in darkness into the light of the heart, so that one may achieve harmony with both sides. During this process, one must embrace these negative qualities with love and acceptance, and forgive oneself for the very things you may be wishing to forget. The lessons learned from the shadow side can lead one to a completely new direction in life, allowing one to truly appreciate all other beings and find meaning in each moment of life. The energy that pulses from Mystic Merlinite guides us through this process which aids in repairing fragmentation of the self, and leads to true self-realization. Mystic Merlinite fully aligns the chakra column, sending balanced currents from the root to the crown. It enhances the ability to manifest and co-create to the maximum potential. In dream work, Mystic Merlinite aids one in studying within the dreams, increases recall, and makes them far more vivid than they may typically be. Its recommended to hold it near the heart or forehead during meditation, as this will directly link one to the journey into the self. The alignment properties of this stone also apply to the joints and spine, assisting one in recovering from related misalignments. The vibrations of this stone are extremely powerful and relate directly to the planet Pluto.